Reading Nolan’s comments in 2019, his words gain new relevancy when applied to the music industry. Thanks to the rise of streaming and shortened attention spans (a chicken and egg question of culpability) artists are pressured to inundate listeners with content regularly for fear of fading into obscurity. This leads to bloated albums (Scorpion, Culture 2, SR3MM to name a few) and an avalanche of singles which feel like half-baked ideas instead of fully-fledged food for thought. 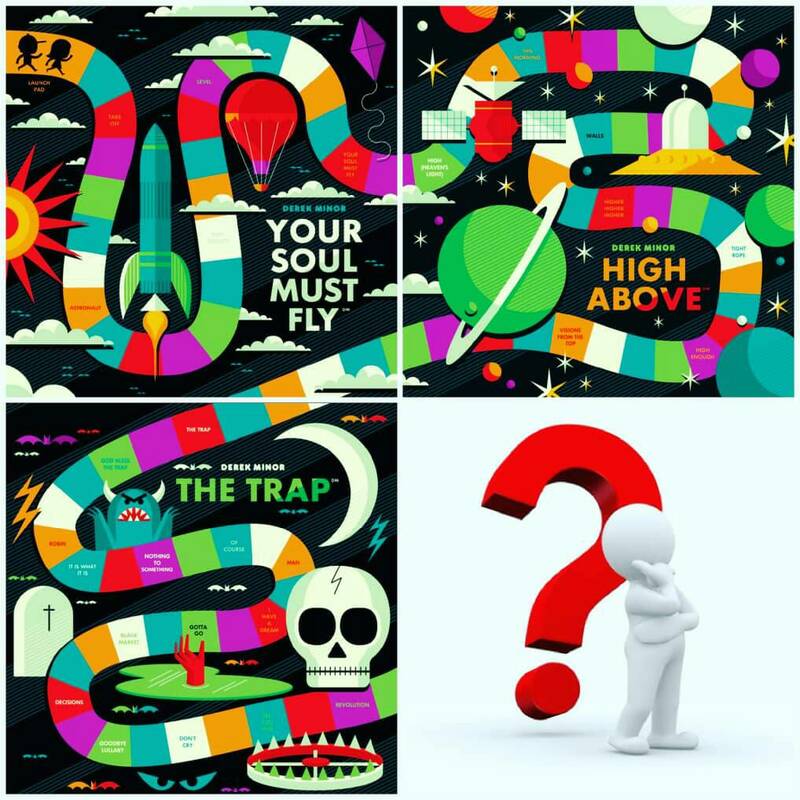 Your Soul Must Fly and High Above dropped right on schedule in 2017 but listeners had to wait almost a whole year for the third installment, The Trap. Contrary to popular belief, it wasn’t due to a paucity of music. “It’s not that I didn’t have the material,” Minor shared, “Man there are so many tracks that didn’t even make the cut on The Trap.” He mentions a song that featured nobigdyl. and Foggieraw that he ended up giving to Dirty Rice. A silent prayer is said for all unreleased songs locked away on hard drives. No, like Nolan with his Dark Knight Trilogy, Minor wanted to give The Trap the luxury of time. To have to backtrack on an initial promise would be hard for any artist and it would have been far easier if, to save face, Minor released an abridged version of The Trap. But Minor’s commitment and integrity to his art and fans anchored his decision. The fact that we’re still covering The Trap here at Rapzilla months after its release is a testament to the veracity of that statement. This more fluid release structure and the ability to “be his own boss” is what helps spark Minor’s creativity. He shared how his approach to making music varies from many; while working within restraints may spark more creativity for others, Minor feels caged in. Rather than start with a concept and making music around that concept, he goes the other way. Being able to create in this way is what makes the process so fun because inspiration can come at any turn. Derek Minor dives a bit into that here as well. Derek Minor, we certainly hope it comes earlier than 2020 but even if it does, just like The Trap, we know it’ll be worth the wait.